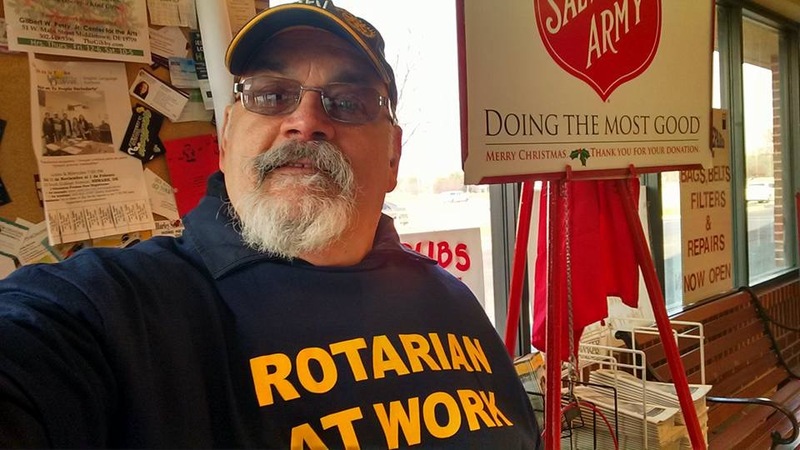 John Nanni (Rotary Club of Middletown-Odessa, DE-USA) – "Rotary Geek"
How many of us ever consider inviting our guest speakers to join our Rotary Club (or better yet, follow up on the consideration)? Luckily, a member of the Rotary Club of Hamilton Township (NJ-USA) did just that six years ago. John Nanni contracted polio as an infant and was paralyzed from the neck down for six months, just mere months before the Salk Vaccine was widely distributed. John was always open to sharing his story with anyone who would listen. Having been familiar with Rotary’s involvement in PolioPlus, he was especially happy to be invited to share his personal story with his local Rotary club. He readily admits, however, he was completely unaware of the many other projects Rotary was involved in on an international and local level. John was not only invited back to be a guest following his presentation, he was (rightfully so) invited to join. And since joining his first club Nov. 17, 2010, then subsequently the Rotary Club of Middletown Odessa (DE-USA), he has maintained perfect attendance and developed into a valuable leader in District 7630. 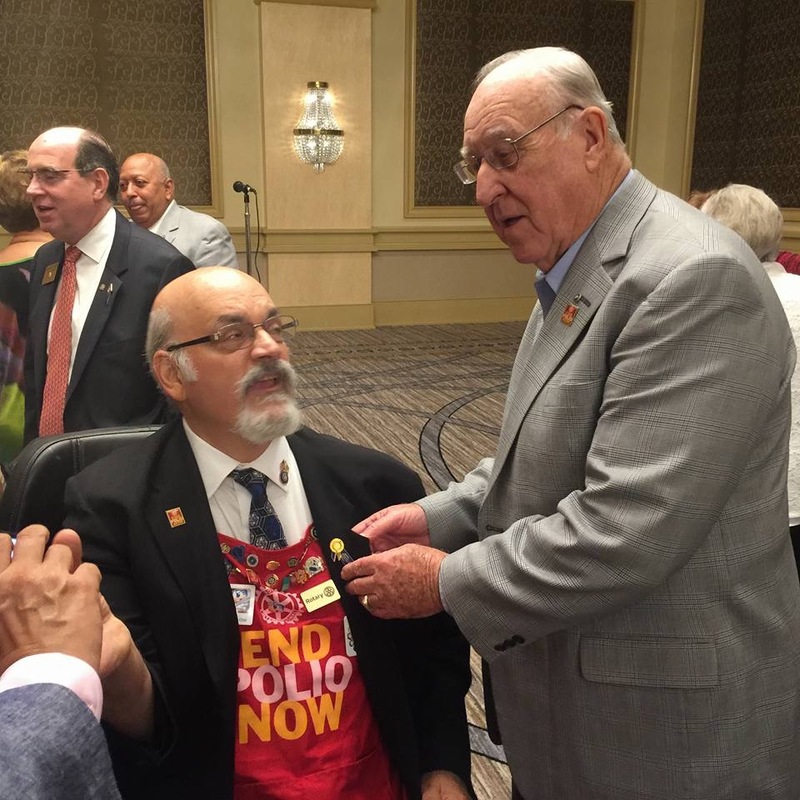 Since then, John has had the opportunity to share his personal journey of living with polio with thousands of people because of his membership in Rotary. But he doesn’t limit his service to that one area of focus. John is a Paul Harris Fellow +8, which demonstrates his financial commitment to The Rotary Foundation. 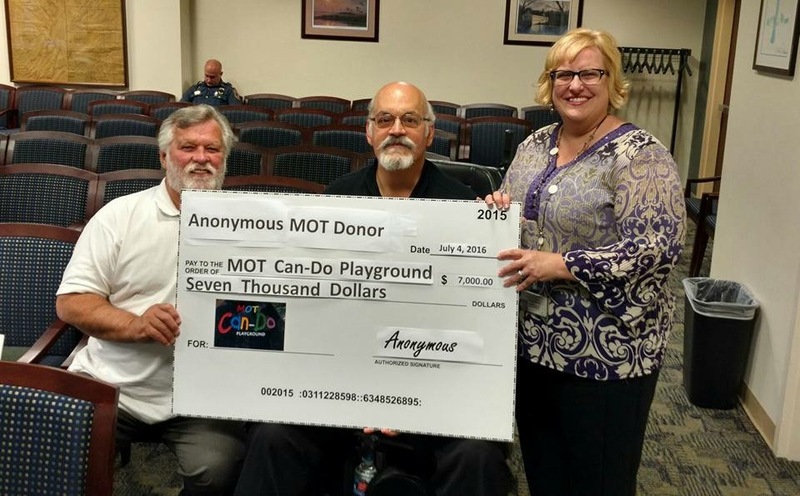 He regularly rings the bell for Salvation Army, donates blood and platelets, supports several Rotary fellowships, and serves on the Can-Do Playground Committee that is raising $500,000 to build an all-inclusive playground for children in his community. Most people (myself included) would consider his invitation to throw out a ceremonial “first pitch” at a Philadelphia Phillies game as one of his best “Rotary moments” (even for a season-ticket holder and lifelong Yankees fan that he is). But John also considers the invitation to a special session of the United Nations in 2012 as a highlight. He was one of three Rotarian polio survivors among the more than 100 world le aders (and Bill Gates) in attendance. But anyone who knows John knows family is his priority. That’s why no “Rotary moment” was more special than making a presentation to a Rotary Club in his hometown of Binghamton, NY, with many family members and high school classmates in attendance. After finishing his speech, he invited his 90-year-young dad to join him at the podium where he presented him with a Paul Harris Fellow in recognition of his 50+ years of volunteer service with young athletes. Memories like that are truly why #WeAreRotary. *John logged more than 800 volunteer hours in 2016. He is an ambassador for “World’s Greatest Meal To Help End Polio” and is the PolioPlus Chair for Rotary District 7630. He and his wife, Christine, both professional singers, perform regularly at non-profit events and senior facilities. You can learn more about their cabaret show at www.Rhapsodyin2.com. He can be reached at jntenor@yahoo.com. If you would like to recommend someone to be the “Rotary Geek of the Week” to be featured on this blog, please email tiffany@tiffanyervin.com.